One thing that has been on my to do list is to update the DVD storage. 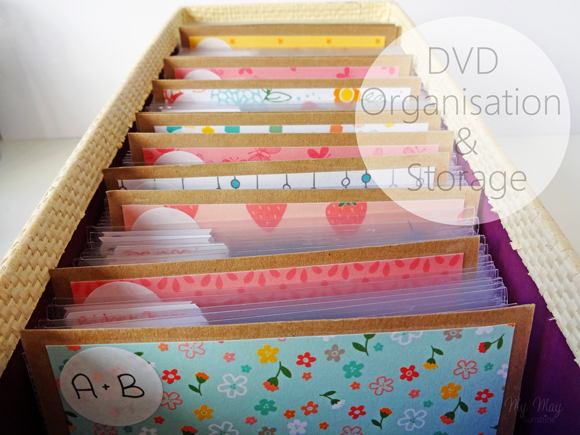 I did a blog post about my DVD organisation back in 2011 but felt it needed changing a bit. I decided to keep the DVDs in the clear plastic sleeves like I used last time but made some new labels so that they could have the name of the DVD on it. I used a standard rectangle sticky label and used a part of a scallop square punch to jazz them up a bit. I also used a different colour pen to show whether it’s a kids/family DVD or mine and my husbands DVDs. 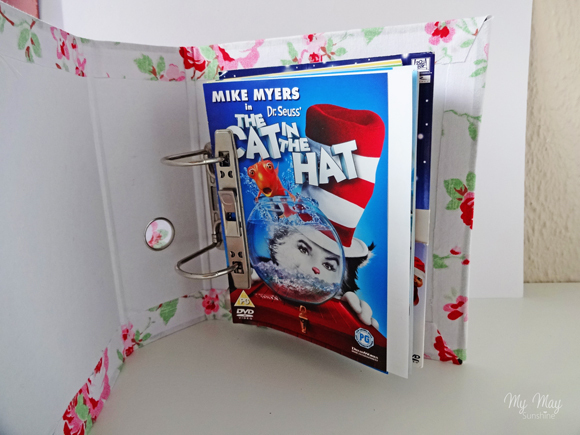 I wanted to make some dividers so the DVDs could be separated. 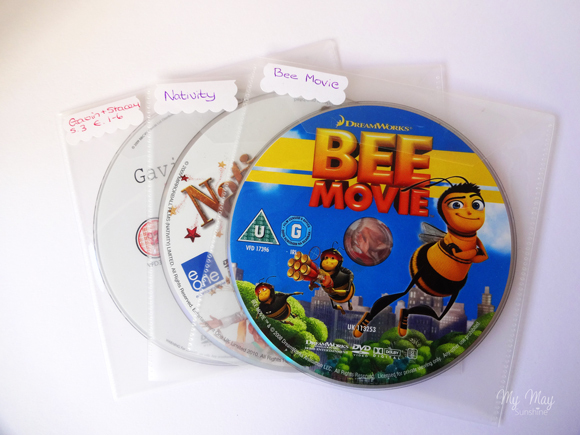 I knew that they would never be stored alphabetically but I thought that if created dividers which can be for 2 letters then it would help us be able to find the DVD we want a little easier. 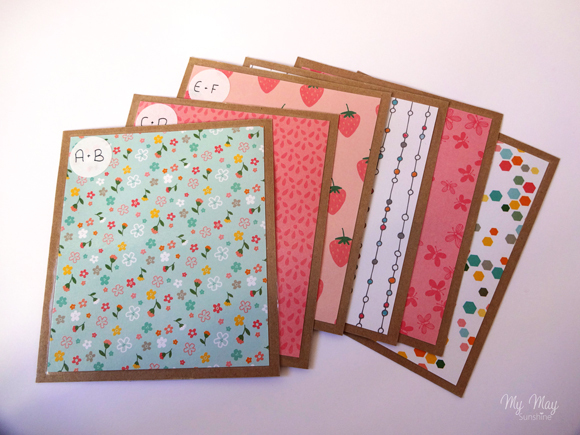 I made the dividers out of some kraft card and some patterned paper. I then added a circle label to the top left hand side and wrote on them the 2 letters the dividers were for. To make the dividers more sturdy, I was going to laminate them but I didn’t want the edges to be too rough so I used some clear adhesive plastic that is used to covers books. The box I used before was a plastic Really Useful box but it wasn’t big enough so I found a box I already had that was big enough but also strong enough. I was going to use one of the white Ikea boxes but I didn’t think they would be sturdy enough. To the front of the box I added some foam letter stickers on the label to spell DVD. 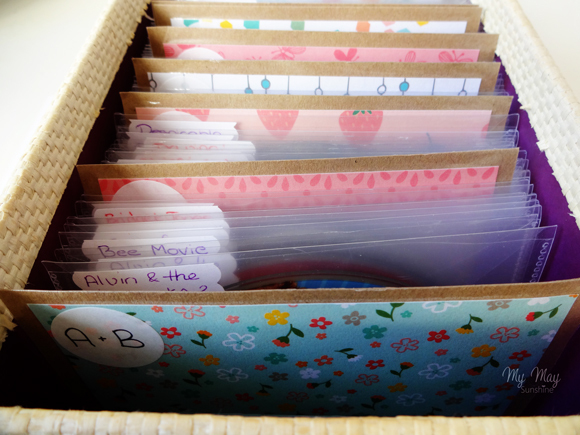 The other thing I did last time for the DVDs was to store the sleeves with all the information on in a folder. 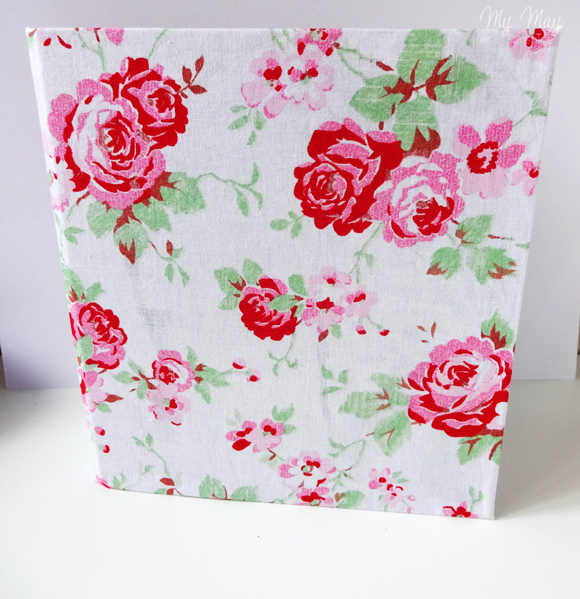 This time I used a smaller folder but it was very boring grey colour, so I covered the folder with some pretty fabric. 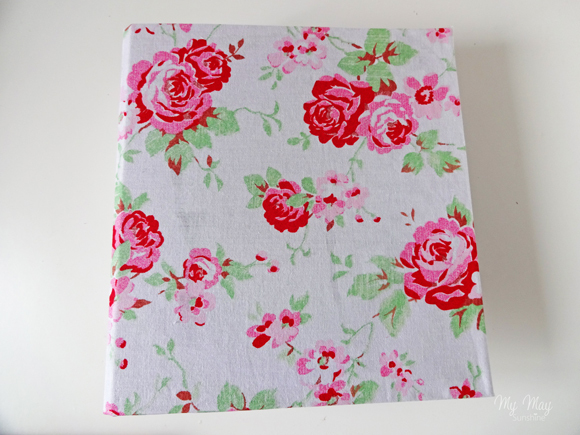 To secure the fabric to the folder, I used some basic pva glue. 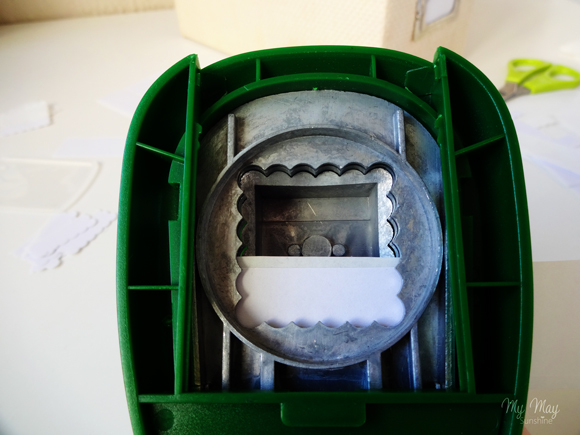 It worked well but in some areas you could see some of the glue as it was a light fabric and was probably a bit too thick layer. 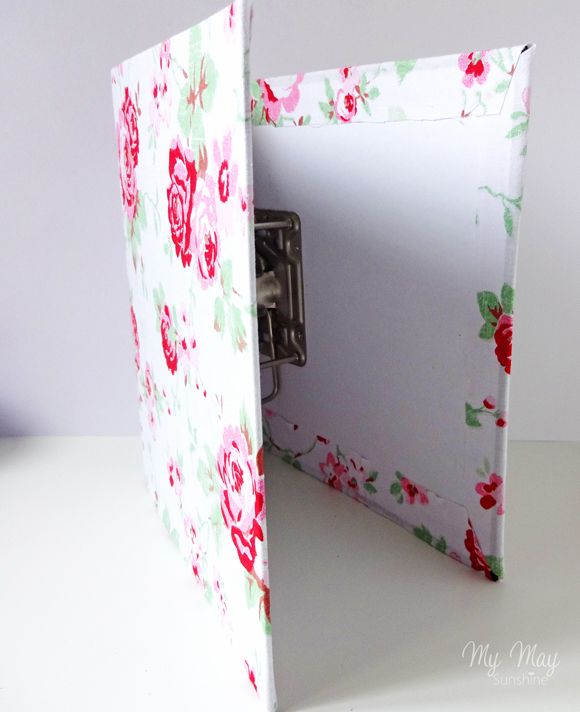 Covering the folder with fabric works better than paper as it doesn’t rip but I didn’t think about the metal parts of the outside of the folder which have gone rusty so they could have probably done with a little bit of varnish to stop them going rusty and showing through the fabric. For the DVD sleeves, they are simply hole punched and put in the folder so if anyone want to see what films we have or any information on a film, then they find it in this folder. I got a comment, on the first post I did on DVD organisation, saying I had ruined my DVD collection but this system works for us. It saves having to store lots of DVD boxes, the kids emptying the boxes everywhere and keeps them more contained and organised. What do you think? 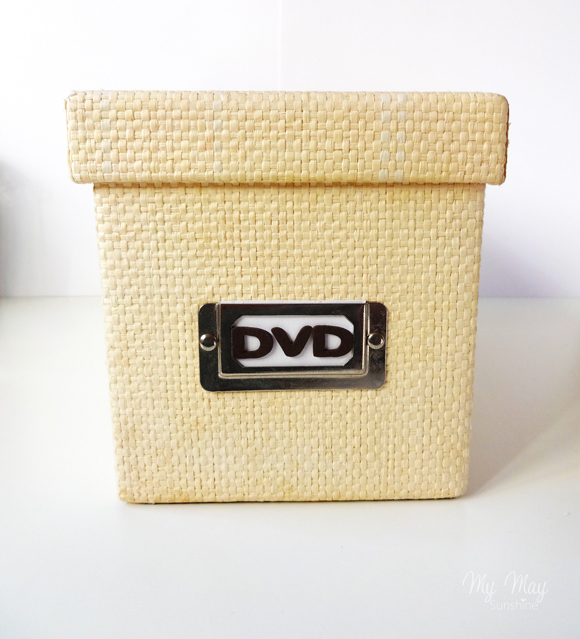 Is this storage for DVDs something you would try or do you prefer to see all the DVD boxes? I would love to know what you think! Previous Post Sunday Photo 11.10.15. Next Post Wicked Wednesday 14.10.15. Oh I felt so much better getting rid of the cases and I don't miss them! The clear sleeves are Cd cases in a pack of 50 from Wilkinsons, I found they were thicker than some in the supermarkets etc. Good luck with your organising! Oh I hope they don't get too messy but we will see! At the very least they can be just put at the front of the box until they are sorted. I LOVE this idea. 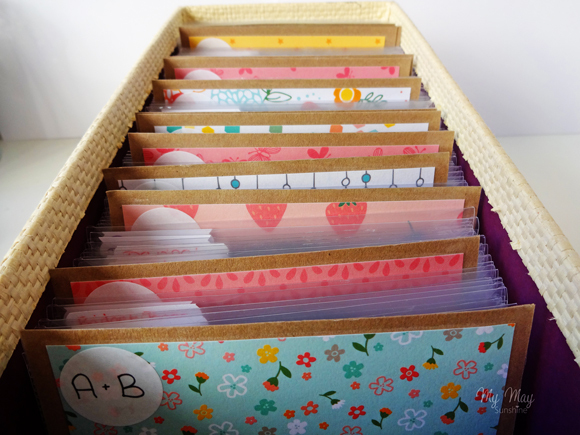 saves loads of space and the papers you used are gorgeous. Just one problem though, My husband wont let me touch his dvd's!!! This looks fantastic, a great idea to stop them getting all messed up and children from taking them out and getting the DVDs scratched. We often have problems finding DVDs so we should try this I think and tidy it up. I love your blog btw and will be coming back later to have a nosy around, the little miniature beach is so sweet! I'm trading in my spinning DVD tower (2' by 2' and 6+' tall) for a better solution. I really liked your original idea…but the hole-punching of the DVD artwork makes SO much more sense!!! I need to see my movies to decide on one to watch (terrible at making decisions) and your solution is PERFECT!!! Thank you so much for sharing, and updating and sharing that, too!